From 2012 to 2013, I worked under Dr. Johanna Varner on a project studying several aspects of an atypical population of American Pikas living at abnormally low elevations in the Columbia River Gorge in Oregon. 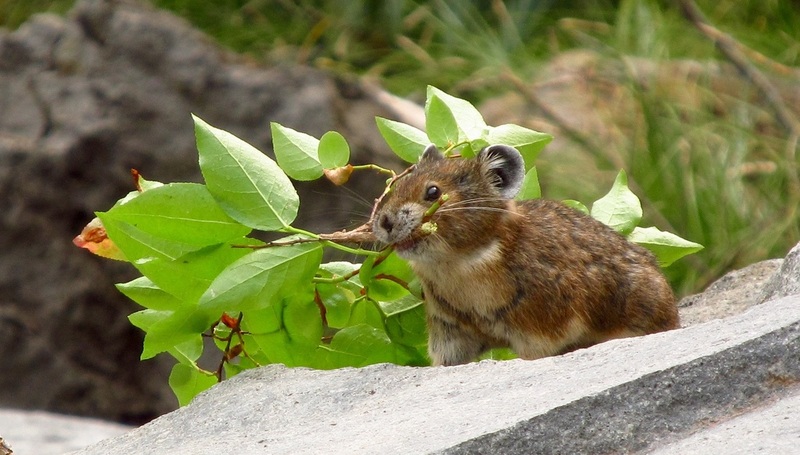 Pika are found in high elevations (usually above 8000 ft.) throughout the western United States. This distribution is thought to be caused by the Pika's extreme heat sensitivity. They live in talus patches (rock slides) and because they don't hibernate they require large food caches, called haypiles, to survive the winter. In the Great Basin, there has been a significant loss of pikas from sites at the lower end of their elevational range. 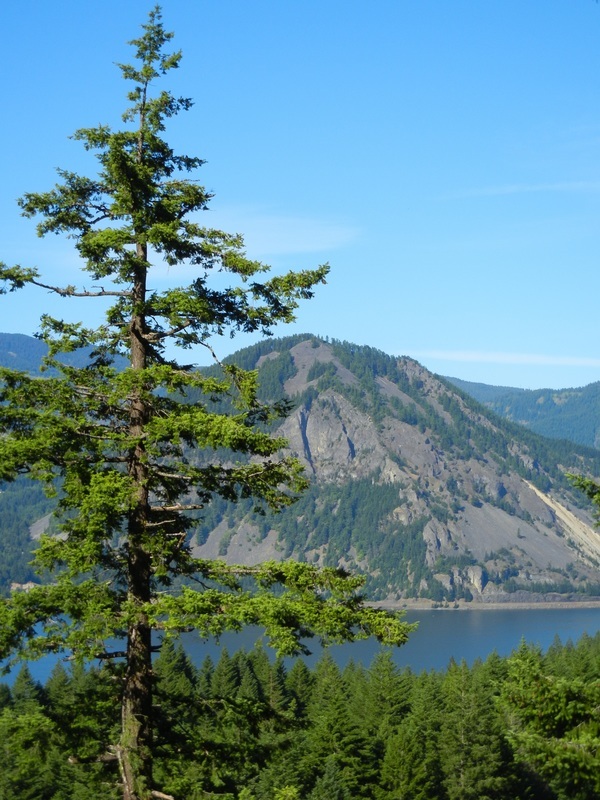 However, in the Columbia River Gorge pikas are thriving at ~500 ft above sea level. This project looked at what distributional or behavioral differences there were between this unique population and more typical, high-elevation pikas on near-by Mt. Hood. Because they don't hibernate, pikas spend the short growing season collecting vegetation which they store in, "haypiles" for winter. Pikas living in the CRG have substantially reduced the amount of time they spend collecting vegetation as warmer winters and more pervasive vegetation mean food is available nearly year-round. 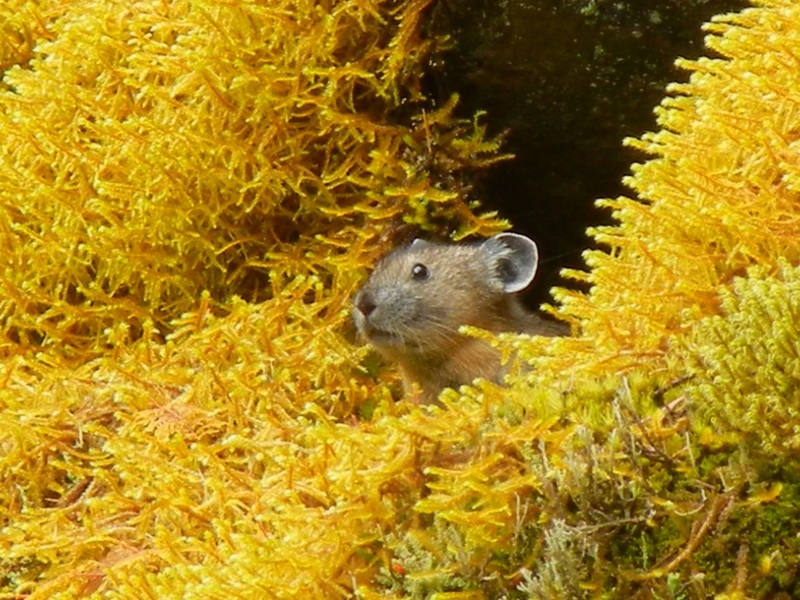 Above: A pika in the Columbia River Gorge where talus patches tend to be extensively mossy. 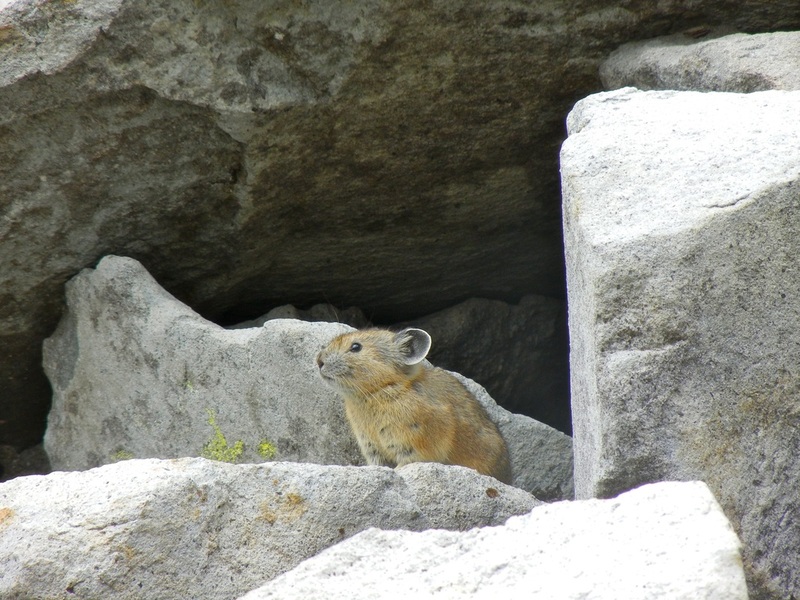 Below: A typical high-elevation pika on Mt. Hood The extensive moss growth in the CRG provides a novel food source for pikas that these low elevation populations have learned to exploit. The gorge's unique microclimate allows moss to flourish unlike Mt. Hood where little moss grows.